The link to google maps here. HOTEL RURAL "SABINARES DEL ARLANZA". Address: Calle Las Turriendas, 70 -09347 Puentedura. Burgos. Spain. Take the exit 203, marked "Salas - Palencia". 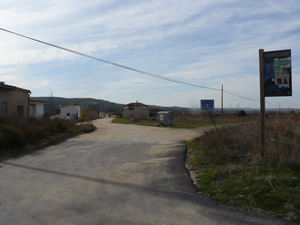 You have to follow the traffic signs to "Salas- Covarrubias". You will be guided to road CL 110 (BU 904). Take the exit 203, marked "Lerma". 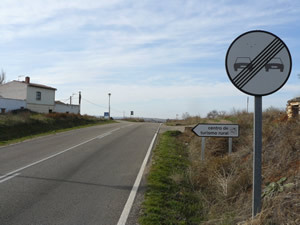 You have to follow the traffic signs to "Salas- Covarrubias". You will be guided to road CL 110 (BU 904). 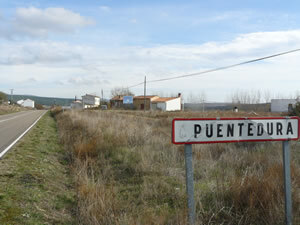 Once on the road, continue on it BU 904 ( CL110 ) 14 km until you see the sign "Puentedura". Reduce your speed because 30 metres away you have to take the unpaved path on your right which goes back diagonally until the Hotel "Centro de Turismo Rural"
There are road signs to indicate "CENTRO DE TURISMO RURAL" and a big white and black sign on the path which reads: HOTEL RURAL Y RESTAURANTE. The hotel is 500m away following this unpaved path.